Australian consumers are even less satisfied with energy retailers than they are with banks and insurers, and are increasingly choosing to take matters into their own hands – a consumer led revolt to solar and storage. The review, carried out annually to assess whether the energy market is operating effectively – and whether competition is creating beneficial outcomes for consumers – found consumer trust in the sector had fallen from 50 per cent in 2017 to 39 per cent in 2018. Confidence that the market was working in the long-term interest of consumers fell by 10 per cent to 25 per cent; while confidence in there being information available to make good decisions fell by 7 per cent to 50 per cent. Satisfaction with the level of competition fell by 6 per cent to 43 per cent, while satisfaction in value for money fell by 4 per cent to 44 per cent. 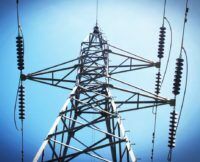 “Complex pricing plans, conditional offers, discounts from bases that vary by retailer, and an increasing trend towards discretionary win-back marketing have created consumer confusion and dissatisfaction,” said AEMC chairman John Pierce. The result of that is plain to see. The report found that between 41 per cent and 62 per cent of consumers across the NEM had either already installed, or were considering investment in solar panels. Battery storage uptake, meanwhile, increased from a low base by around 275 per cent in 2017. And this year, between 24-46 per cent of customers across the national electricity market said they were considering installing batteries. “The number of households with solar energy has risen again during the year under review, and more energy consumers are considering investments in batteries and other options to be more energy efficient in line with their family needs,” the report says.